Recep Tayyip Erdoğan came to power in 2002 with a commitment to full membership of the EU. His then Foreign Minister Ahmet Davutoğlu initially endeavored to deliver on his promise of “zero problems with neighbors,” making advances to Armenia and the Kurds of Northern Iraq while promoting commerce with Russia. On the back of amicable breezes blowing between Greece and Turkey, attempts to engineer a solution to Cyprus accelerated. Radical legislative steps were taken to facilitate the EU accession process and close relations were forged with Syria’s Assad. All this took place in the first six years of Erdoğan’s rule. Serious cracks in his diplomatic course first appeared in 2009. Turkey faced the Islamic world in the East. Forsaking its centuries-old westward direction and abandoning Atatürk’s principle of “Peace at home, peace in the world,” it embarked upon an adventurous path of advancing Turkish influence. No longer would Turkey preserve the status quo. The result was a friendless Turkey that soon ran aground. The first indication of this change was Erdoğan walking out of the 2009 Davos Conference after accusing the Israel of President Shimon Peres of being experts in killing. Mesmerized by the reverberations of his name on Arab streets, Erdoğan indulged in dreams of transforming Turkey into a major power in the Islamic world. The 2010 Israeli commando raid on the MV Mavi Marmara, the lead vessel in an aid convoy to Gaza, resulted in the death of ten activists; Erdoğan immediately severed relations with Jerusalem. 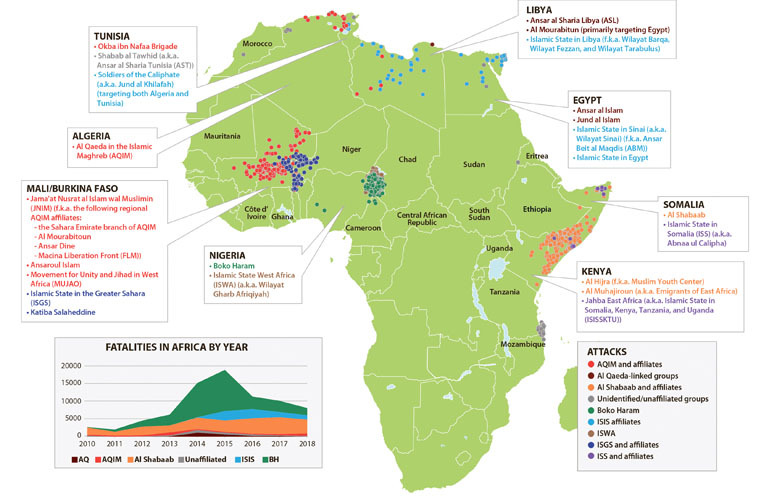 The Arab Spring of 2011 might have been just the opportunity he was looking for; but he soon found himself out of favor in the Muslim world as the uprising was quashed, and he realized he had fallen out with the Syrian, Iraqi and Egyptian regimes. The Syrian leader, his “brother Assad” for so long, had all at once become his “foe Esed.” In 2012, as Erdoğan mentioned “praying at the Umayyad Mosque in Damascus,” Turkey’s parliament resounded with exclamations of “reaching Damascus in three hours.” Thus did Ankara embroil itself in the swamp at its southern flank. It shipped weapons to Syrian rebels in order to topple the regime in Damascus and unseat the increasingly more powerful YPG in northern Syria, opened the borders to jihadists and turned a blind eye to the rise of IS cells in big cities. This traffic intensified further in the refugee flood of 2014. Next came the big crisis with the big neighbor. In 2015, Turkey downed a Russian fighter jet for allegedly violating Turkish airspace. Putin promptly instructed Russian tourists to steer clear of Turkey and halted imports of Turkish foodstuffs. The cost to Turkey was some $10 billion. Foreign policy driven by unrealistic ideology and chauvinist posturing had suddenly left Ankara with countless enemies. His “zero problems with neighbors” had led to the opposite dynamic: “problems with every neighbor.” It was time for a volte-face, and a scapegoat. Davutoğlu was forced to resign in 2016. Settling into the chair still warm from his predecessor, the new Prime Minister Binali Yıldırım asserted: “We shall increase the number of our friends and decrease the number of our enemies.” Ankara had once again adopted a more pragmatic diplomacy. It took two apologies for Yıldırım to solve two crises. First, the five-year rift with Israel was settled when Jerusalem apologized for the sinking of the Mavi Marmara and paid reparations. Next, Turkey apologized to Putin, thereby resolving the seven-month conflict. Ankara backtracked from its earlier determination to oust Assad – Turkey’s third policy change in five years. Erdoğan would now cozy up to Moscow and fall in line with Putin in Syria. Entente with Moscow is partly attributable to Erdoğan losing patience with the West. 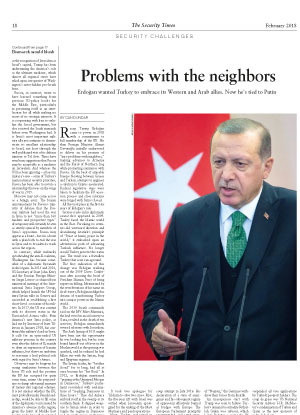 Despite the apparent thaw in the wake of the 2016 refugee deal between Turkey and the EU, Erdoğan raised the temperature of his anti-Western polemic once again, blaming the US for the coup attempt in July 2016. His declaration of a state of emergency and his subsequent regime of oppression effectively burned al bridges with Europe. The European Parliament promptly recommended, and acted upon, suspending negotiations. Strains with Germany, one of Turkey’s oldest allies, soon followed; a German delegation was denied access to İncirlik Air Base in response to the German Bundestag’s official recognition of the Armenian genocide. Germany granted asylum to Turkish officers involved in the July 15, 2016, coup attempt; the Turkish Intelligence Agency increased its activities; and Erdoğan was ultimately prevented from campaigning for his referendum in the Federal Republic. After he accused the Berlin government of “Nazism,” the Germans withdrew their forces from İncirlik. An inauspicious start with Trump was soon to follow. 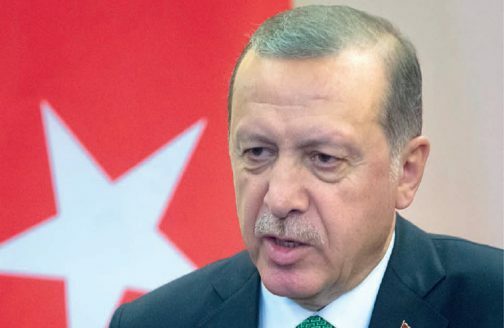 Turkey’s demand to extradite Fethullah Gülen was refused, which led to Erdoğan accusing the US of engineering the coup attempt and supporting terrorism by arming the PYD. Relations were so strained by the arrest of US Embassy officials on charges of supporting Gülen that the US suspended all visa applications by Turkish passport holders. The coup de grâce was US National Security Advisor H.R. McMaster’s condemnation of Turkey and Qatar as the new sponsors of radical ideology. Cast adrift as a result of his break with the West, Erdoğan proved easy pickings for Putin. Moscow invited Ankara – along with Tehran – to the table to discuss solutions to Syria. In its loneliest hour, Turkey was turning to its traditional enemy to the north. Erdoğan’s recent decision to purchase Russian S-400 defense missiles could easily signal a departure from NATO. Stuck in a quagmire in Syria, without a single friend in the West and unsuccessful in securing Trump’s backing, Erdoğan is going all in with Putin. As a reward, the Russian president has opened Syrian air space to Turkish forces engaged in the Afrin operation that began in January. However, a potential clash between Ankara and Washington, the sponsors of Syrian Kurds, would have only one winner: Moscow. Meanwhile, Erdoğan finds himself in a struggle to transform the risky war he has embarked upon in Syria into a step that will elevate his presidency on the domestic front. was editor-in-chief of the Turkish daily newpaper Cumhuriyet. His article about Turkish arms deliveries to the Islamic State earned him an indictment for alleged espionage. He is now living in exile in Germany.